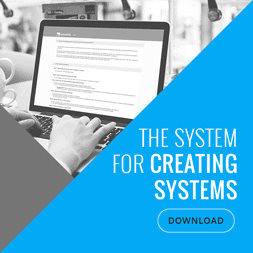 Creating systems and building SOPs – or standard operating procedures – can be tricky. Moreover, it’s probably very tempting to take it all on yourself. As we’ve previously discussed, business systems work best when a team of people are mucking in and are getting involved. SYSTEMology, ultimately, is all about re-routing tasks and delegating them to the right areas. It’s only too easy to micro-manage. We’ve all been there. Even if you run a larger firm than most, your business can more often than not be treated as your ‘baby’. That means there are going to be times where you’re going to feel resistant to external control. However, in practice, taking full reins simply doesn’t work. This is especially the case when it comes to creating a system or a series of SOPs for your team and workforce to adhere to. Sure, you can set the right parameters and the ethos, but do you really have the time to tweak every last piece of the puzzle? SYSTEMology® is focused on making the most of the resources you have available. If you don’t have the time or focus available to manage systems and SOPs yourself, who can? Think carefully about your existing team. Think carefully, too, about the benefits of delegation. In a recent conversation, SYSTEMology’s David Jenyns spoke about how to find the right people for the right jobs. He also talked about how it’s important to let go of the fight when it comes to taking full control of systems. The thing is, you’ll never find time to do systems. It is the roadblock that quite frequently will come up. So we need to figure out, whenever any roadblock comes up, how we’re going to go through it? How we’re going to go around it? How we’re going to go under it, over it but just don’t get stopped at the roadblock. The most valuable asset in the business are the systems. So we’ve just got to think about how do we make this extraction as easy as possible? Now, I’ve got this insight. The insight here came from working with him. 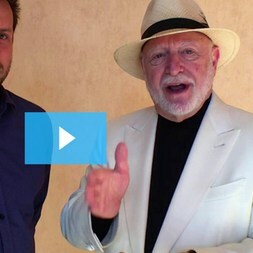 You know what Michael Gerber does which I thought was really interesting. Part of his business is he’ll identify experts in particular verticals, he’ll partner with them, and he’ll co-write a book which will be E-Myth for Accountants, E-Myth for Lawyers, E-Myth for Plumbers, E-Myth for Real Estate Agents, that’s how he’s got 29 books, right? He’s basically partnered with these people and then tailors the message to the specific vertical. So part of his business model is he writes these books, they pay a hefty royalty for that option to be able to have their name in lights next to Michael. What he does then is he helps them launch it and get the word out about the book. So what I found really interesting was, up until now they hadn’t done any book launches, 29th book, never done a book launch. They thought right; this is something that we want to add to the service offering. So they sought out someone who knew how to do book launches. Now I didn’t publicly advertise that I do book launches. That’s not what I do; I didn’t even have it as a service. I didn’t even end up selling my time to do it. I just saw it as a good opportunity and thought right, let’s just follow this rabbit hole and see where it goes. So I said, okay, I’ll do it. He then got me to document the process of me doing a book launch. They then internalise that, and now they have a system. They didn’t have the capability and the knowledge to do the book launch. They now have a proven system on how to launch books. So now they can add that as a service to the co-authors that he works with. Not only can we write the book with you, but we can launch it and make it an Amazon bestseller. The Insight here is finding the person who has the knowledge and getting it out of their head. Sometimes it’s in your business; sometimes it’s not. Sometimes it’s better to think about not how do I do something, but who knows how to do it? You hire a consultant who knows how to do that particular piece. You get them to design the systems, deploy them in your business that the team can follow. That then becomes a really quick way to shortcut the development of systems. While systems can work wonders for even the most rigid of structures, it’s important to understand that you may not be able to undertake everything yourself. By working with others within your own team, and even outside of your own sphere, you can find new resources and new ways to tackle existing problems. It’s worth looking closely at your assets – the people you work with. Consider their strengths, their abilities, what drives them. Consider putting their hands on one or two wheels. Changing the way you think about how you work is, of course, core to SYSTEMology. It’s core to systems in general. As we’ve discussed in the past with regard to micro management, re-aligning your corporate strategy can mean ‘letting go’. It can mean aligning different people to different tasks. It can mean seeking our help from talented specialists to organise your SOPs. You may have the vision and the drive – you may even be your own business. Getting procedures in place and up and running, however, can be as simple as working with the right experts. You’d be surprised to learn just how many professionals are willing to help out. You’re likely already working with a team of people who can supply individual knowledge and talent to various tasks. How can they help to make the bigger picture even better? SYSTEMology® promotes simple measures to help firms rethink ingrained habits. 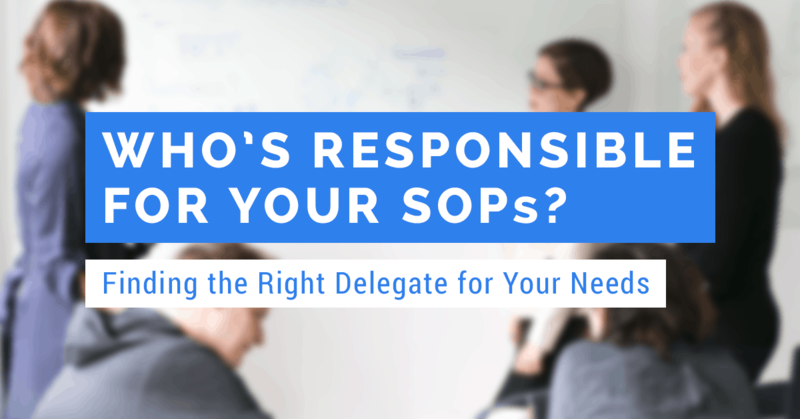 Have you found the right experts to help with your SOPs?